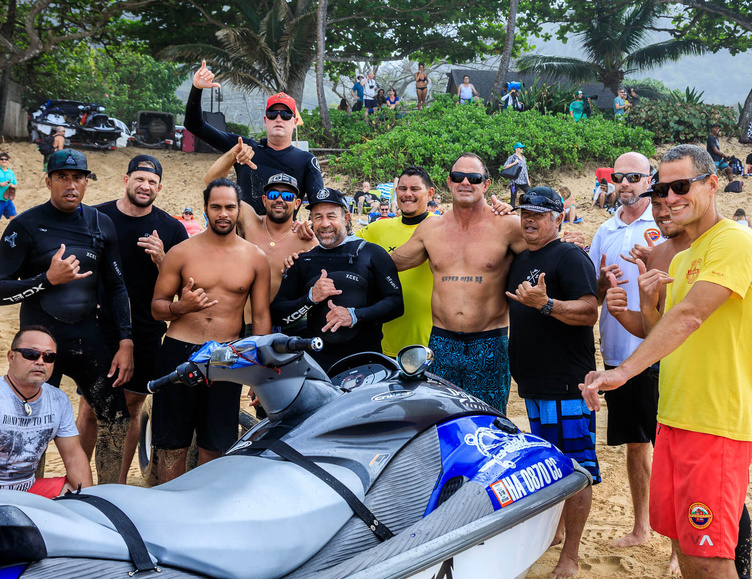 Volcom Pro 2018 – Sure, we can thank pumping Pipeline for the last five days of entertainment, but when it comes down to it, we’d like to thank the surprises. Lord knows there were a lot of them. In an event that’s only been won by three different dudes in the last eight years, with only one exception last year (Hi, Soli! ), something unexpected, something we didn’t see coming, something we probably would’ve put money on not happening — is a breath of fresh air. What, exactly, was so damn unexpected? Where to begin. The quality of waves, for one. 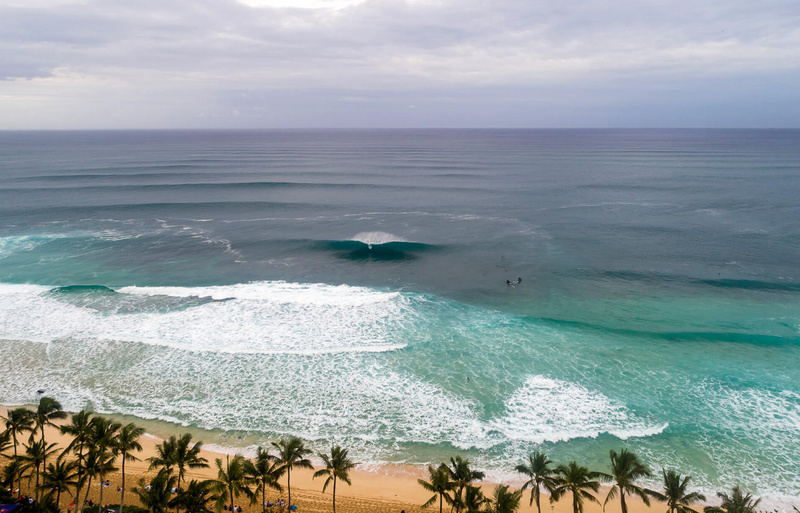 A week before the event, it looked like no shortage of swell, but conditions were looking suspect. Things changed as the event drew closer, and the days just got more mental and mental, going from fun Backdoor to maxed-out 25-foot-face Pipeline to A-plus-Pipe, which we saw today. Arguably, the best day of the winter season. Another one was the winds, which stayed a light south (offshore) for the whole entire time. The winds rarely stay straight south for four days in a row, all day long. Bizarre indeed. That brings us to our competitors. Surprise upsets? Check. John John, Mason Ho, Billy Kemper; they all looked on fire in their first heats, then fizzled early. Super-unexpectedly, John got beat by competitively-green Noa Deane on John’s home-turf during the biggest day. An extremely in-form Jack Robinson not finaling was another shocker with the way he caught five Backdoor drainers in a row on Day Three. While Noa Deane’s performance was another pleasant surprise, (even if stopped in the semis), perhaps the most outstanding surprise before the final was Right Coaster Cam Richards’ performance the entire event. Cam, by the way, is from South Carolina. No, not North Carolina, where the waves get good, but South Carolina, where the waves often…don’t. Regardless, finalist Cam Richards seemed nearly unstoppable the entire event, often combo-ing his three opponents in heats and posting 19.8-point heat totals. His uncanny ability to find the best waves in each heat was absurd and the young goofyfooter weaved his way through countless pits on every day, no matter the size. He certainly looked like THE man to beat heading into the final. Then, of course there was the final — the epitome of surprise endings. Former Volcom Pipe Pro winner, former-Pipe Master, and recent Backdoor Shootout winner, Jamie O’Brien, looked simply untouchable today. Surfing with unparalleled intuition and skill the entire event, he brought that same brilliance to the final, snagging a wave under Josh Moniz’ priority to earn a perfect 10. Only problem was, his backup was strong, but not excellent. And that’s exactly what Josh Moniz capitalized on. Josh, by the way, hadn’t steamrolled through the event like JOB or Cam Richards had. In fact, besides one heat, he’d snuck through all of them in second. Opening the final with a high8, and after giving Jamie a 10…he needed another high 8 to sneak past O’Brien. Which came to him, with less than four minutes in the heat left. Nearly sticking a rodeo flip to punctuate his spitting eight-foot barrel, the beach went berserk. His three brothers and sister howled in ecstasy. His mom and dad shed a tear and hugged each other in jubilation. Josh Moniz also became the first Hawaiian-blooded Hawaiian to win the Volcom Pipe Pro, and really, that’s one thing that shouldn’t be surprising at the end of the day.